The Radisson Blu Sobieski hotel offers 435 comfortable rooms including Business Class rooms and suites. All rooms are equipped with free Internet access, LCD TV, in-house movies, mini bar, individually controlled air conditioning and openable windows. The Business Class rooms also offer: Nespresso coffee machine, daily newspapers, free movies on demand, bathrobe and slippers, modern bathrooms with heated floors and head shower, coffee and tea, safe with laptop charging. The Radisson Blu Sobieski Hotel is renowned for excellent cuisine, which is a unique combination of Polish traditional recipes and international flavors. The modern Marysienka restaurant and the ballroom are the perfect venue for private and business events for up to 800 people. The Trilogy Restaurant is open daily for business lunch buffet. It is also excellent place for an elegant dinner in a cozy atmosphere. The Armory Bar is open daily for fancy drinks, light snacks, tea or coffee. The Radisson Blu Sobieski Hotel offers 12 attractive and comfortable meeting rooms where you can organize small meeting, large conference or cocktail party for 800 people. Room Standard designed in classic style offers a queen and twin, comfortable desk with ergonomic chair to work, television with satellite channels. Bathrooms are equipped with bath or shower, hair dryer and cosmetic mirror. Room Business Class rooms have been designed to meet the expectations of business guests. The business class room price include breakfast buffet. 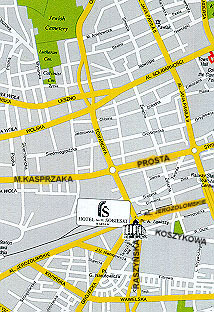 The Jan III Sobieski Hotel is set only 500 meters from the Central Railway Station and close to the center of Warsaw. The International Airport Okecie is 5,6 km from the hotel.